Welcome to the first post of 2017! As some of you know, big things are ahead for me in 2017, but more on that later. 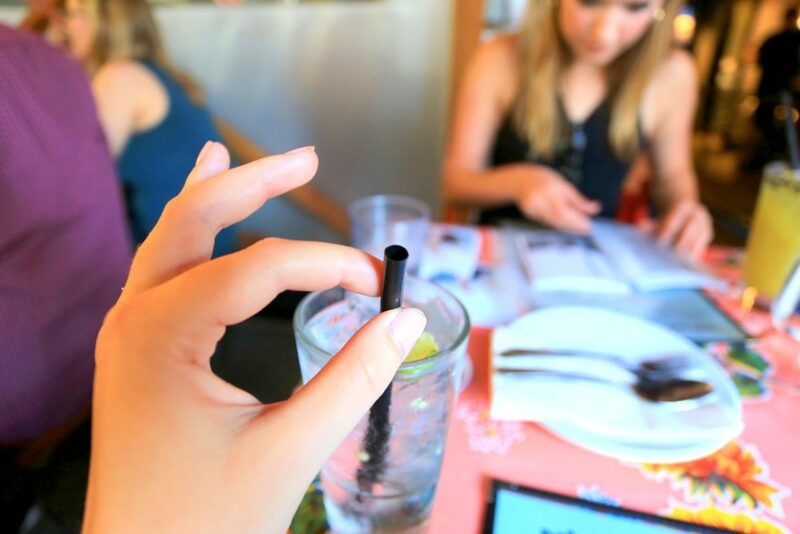 I’m here to bring you a post about one of the most famous places to eat in Portland. Pok Pok. It’s a staple watering hole for locals and tourists alike. 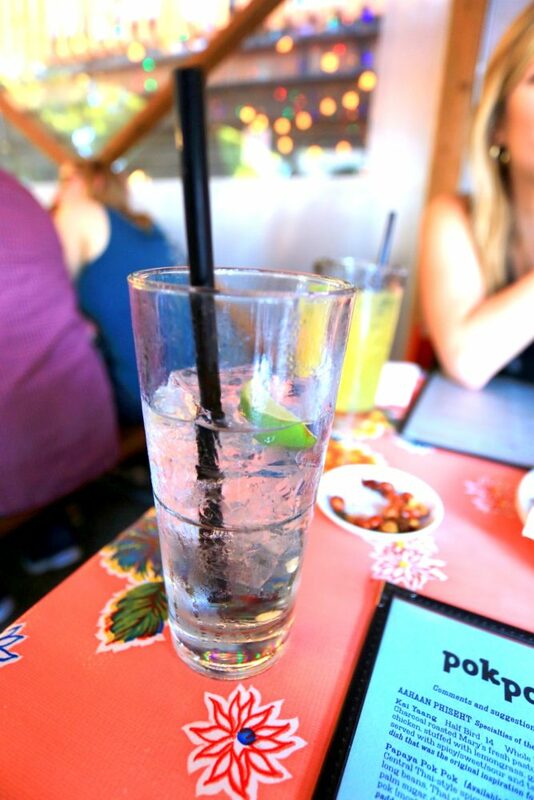 Pok Pok, “serve(s) food found at pubs, restaurants, homes and the streets of Southeast Asia with the majority of the food coming from Thailand, and specifically from the North and Northeast of Thailand.” It’s flavors are out of this world. 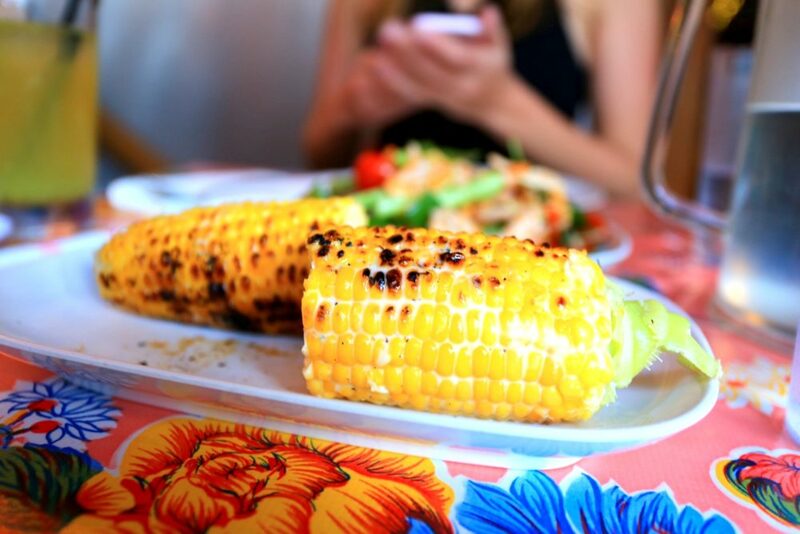 Trust me you won’t find these dishes anywhere in the US. They are unique and beautiful. I just love this food. You can expect long longs most hours of the day at this gem, but like most amazing things, its worth the wait. 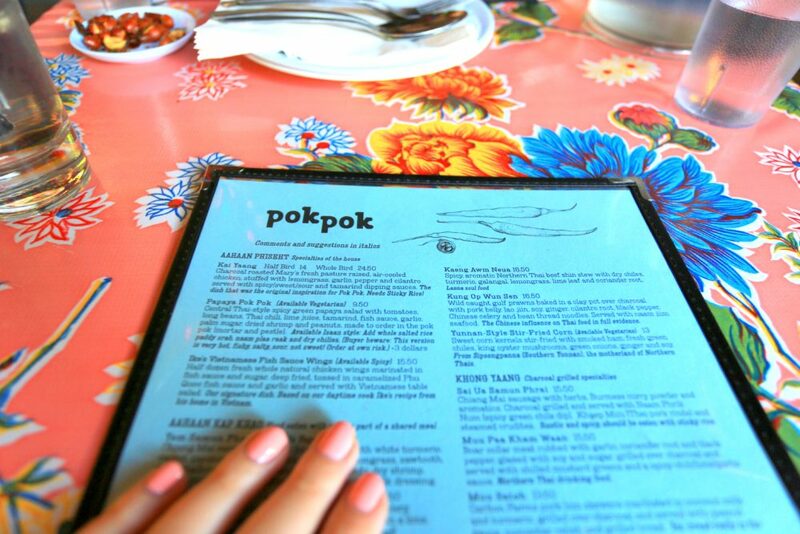 For this dinner, I joined my friend Chloe to explore the Pok Pok menu. 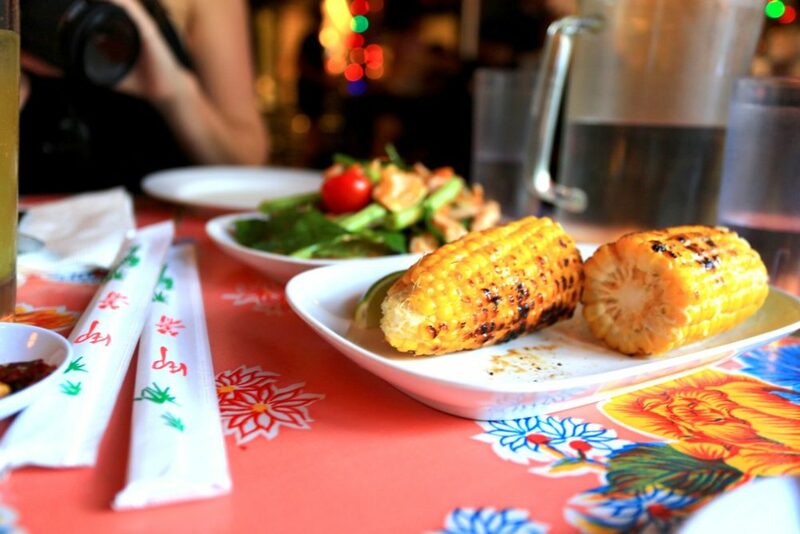 Pok Pok’s extensive menu can be intimidating. Don’t be afraid! You can’t really go wrong here. My favorite dining style is to order several plates and share with the group. Chloe and I may have ordered enough to feed a small army, but it’s all SO delish. In my opinion, a lot of the dishes are quite spicy. If you aren’t into spice- make sure to chat with your server. Everyone who has waited on me has been extremely knowledgable about the menu. They will surely steer you in the right direction. Another thing to note- the bar program is excellent! 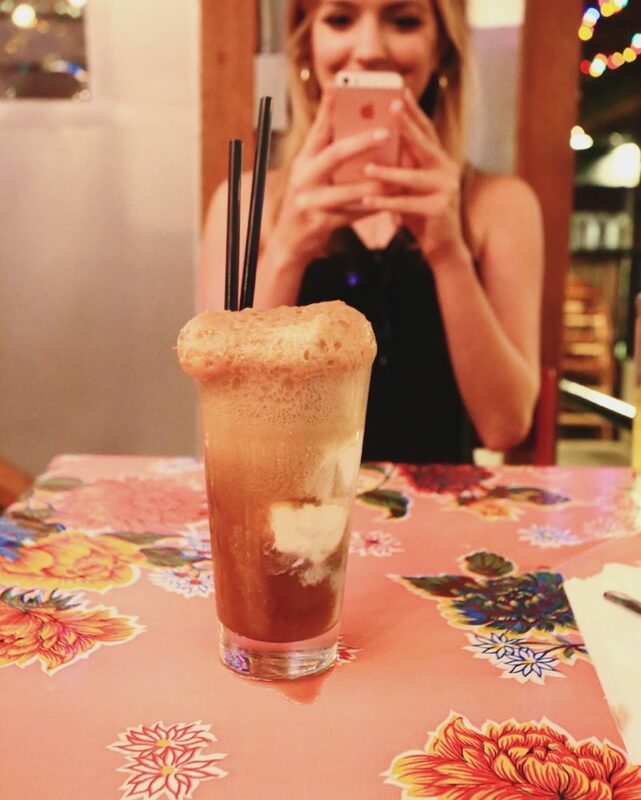 I love the innovative and fresh cocktails always offered at Pok Pok. Make sure to check out the cocktail specials- they are usually creative and seasonal. Spicy and sour glass noodle salad with naem (a house-made sour pork sausage), ground pork, mussels, dry shrimp, Chinese celery, pickled garlic, Thai chiles, shallots and carrot. Lime, fish sauce, garlic oil dressing. Northern Thai mild curry noodle soup made with our secret curry paste recipe and house-pressed fresh coconut milk. 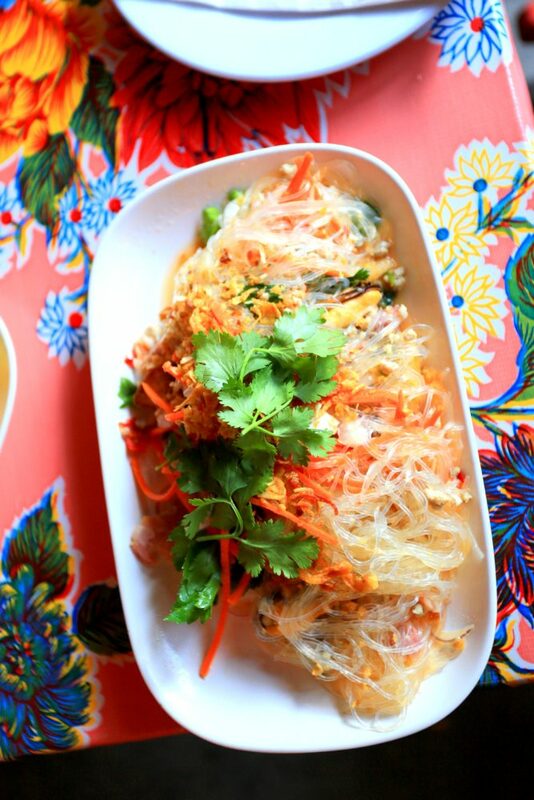 Served with house pickled mustard greens, shallots, crispy yellow noodles and roasted chili paste. Half dozen fresh whole natural chicken wings marinated in fish sauce and sugar, deep fried, tossed in caramelized Phu Quoc fish sauce and garlic and served with pickled vegetables. 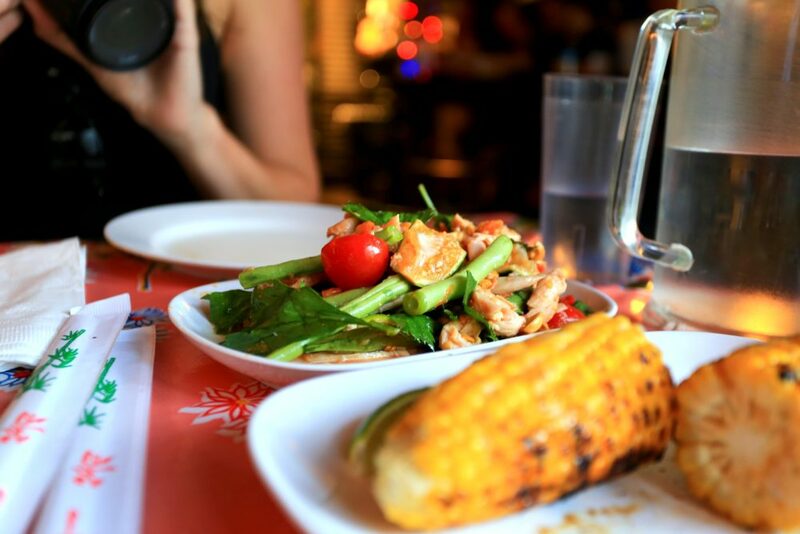 Now you have the local insights- Next time you head to Pok Pok- try one of these dishes. You won’t be disappointed. 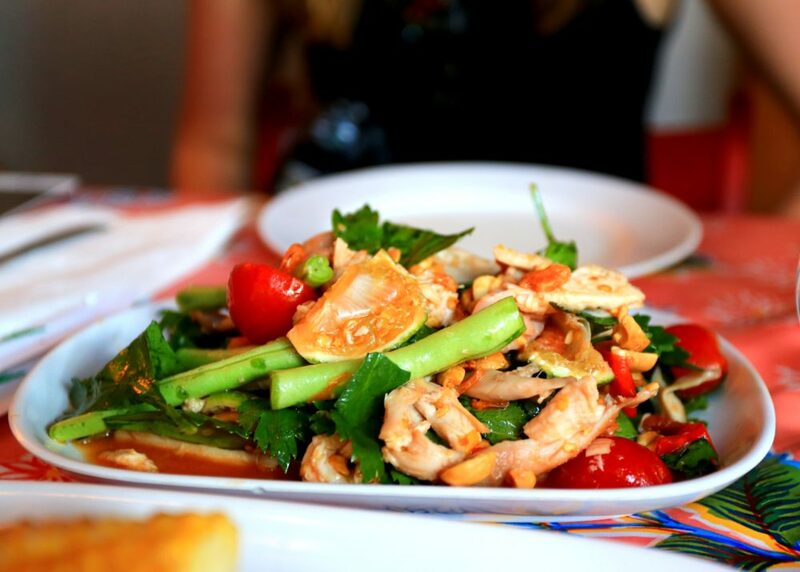 Maybe one of your New Years resolutions was to try a new restaurant- give this a whirl. Hope you are enjoying the new year and staying warm! I love bloggers that write about local establishments. If I ever visit Portland, I’ll have to check this place out. I love Pok Pok but don’t make it there nearly as often as I would like. I love that they are opening some other restaurants around town too! 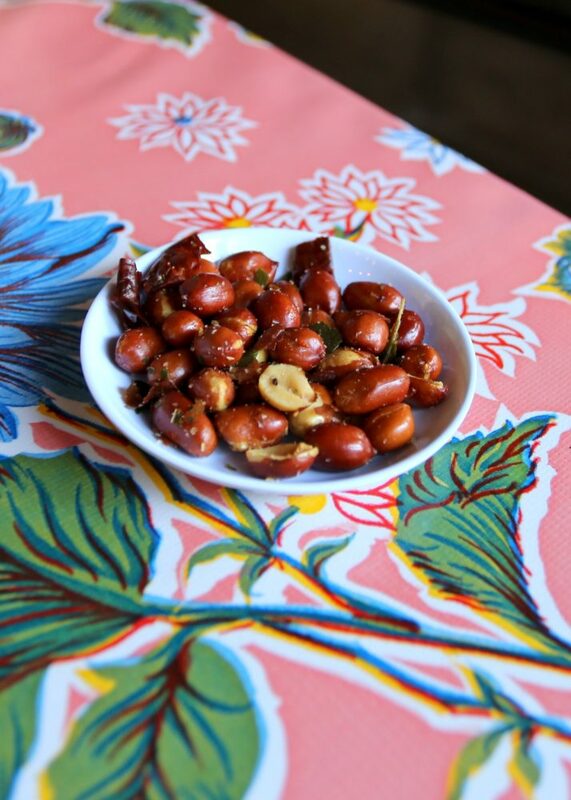 Thanks for this list of new dishes to try – The Sunny’s Yam Wun Sen Chao Wang sounds amazing! The last time I went to Pok Pok I had the vegetarian Khao Soi and it was delicious! For a place most famous for its wings, they offer a decent array of vegetarian dishes. Pokpok sounds SO good and I’ve been hearing about it for years but I’ve never been, aaack!! Great photos, looks so tasty! Pok Pok sounds absolutely amazing. I have been meaning to go to Portland for a little visit sometime soon. I might have to make it sooner than I though! omg this place looks so yummy!!! Portland is on my list of places to see. The Khao Soi sounds like something that I would love. I am a huge curry lover, and I love Thai food! Yummm! Everything looks soo amazing here. I am a huge fan of those peanuts. If I’m not mistaken, they are Spanish peanuts?? The food there looks amazing!! I’ve never been tonPortland but if I ever make it there I will be sure to putt his place on my list of restaurants to visit. Yummmmmmm. That looks AMAZING! Seriously. I need to try that if I ever get up to Portland again!